The Band’s two main fundraising activities include the sale of our own merchandise and specialty cakes. 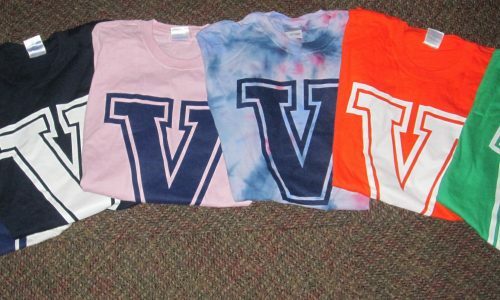 V-Shirts are the Band’s own clothing and accessories line, adorned with the classic Villanova “V” design. Our short- and long-sleeved shirts and tank tops feature the lyrics to our fight song, “V” for Villanova, and each style is available in a variety of colors to match any occasion. These shirts make a great gift for any Villanova student, alumni, or fan. Also available are our “V Shades” sunglasses. Sending a cake from the Band is a great way to show someone on campus that you are thinking about him or her. Weekly deliveries to campus residents throughout the semester provide a great way for parents and friends alike to sweeten someone’s day! 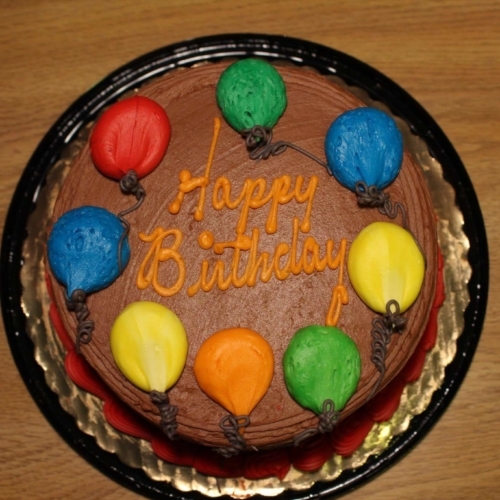 Whether the celebration is a birthday, Halloween, Valentine’s Day, St. Patrick’s Day, or just a “pick-me-up”, these cakes never fail to put a smile on people’s faces!